With our 9 years of experience within the boating industry, we have become reputed as one of the best party boat manufacturers in South Africa. We specialize in the manufacture of many types of boats, each for its own purpose of which the party boat is yet one of our most popular boats. 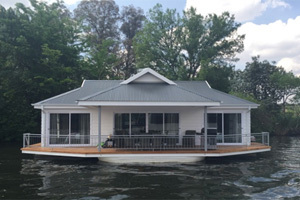 The party boat is designed to be a very multi-functional boat and much attention to detail goes into the manufacturing process. Its basic design consists of both an outdoor and indoor area. 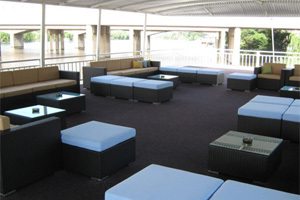 The outdoor area of the party boat consists of a large deck that goes right around or on a separate top level on the boat. 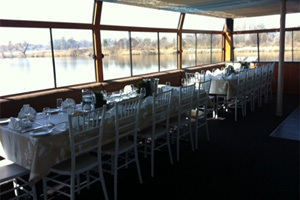 Some luxury party boats have been fitted with either shade netting or roofs, for an outdoor experience in any type of weather. Deck chairs, loungers, comfortable couches and tables are set out so that clients can sit and enjoy a cocktail at sundown. 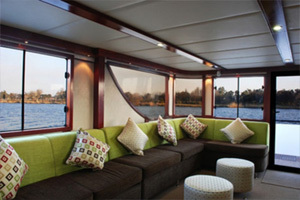 The indoor area of the party boat consists of a large room with wall-to-wall windows for a beautiful 360 degree water view. The indoors area is fitted with a kitchenette, catering area and bathroom/s, depending on the size. When used for any function, the meals and entertainment will be done indoors. A hi-fi system, fully stocked bar, bathroom/s, dining area and lounge area will be found indoors as well. Corporate meetings and/or year-end functions. There are various levels of luxury when it comes to party boats in South Africa. If it is a very exclusive function, a more luxury party boat will be used which will include hotel amenities, luxurious bathrooms, extra comfortable seating, big-screen televisions and specialized chefs and staff members. For a more basic function like a birthday party, a plainly manufactured party boat will be dressed up with plenty of streamers, balloons, posters and jumping castles (depending on the size). 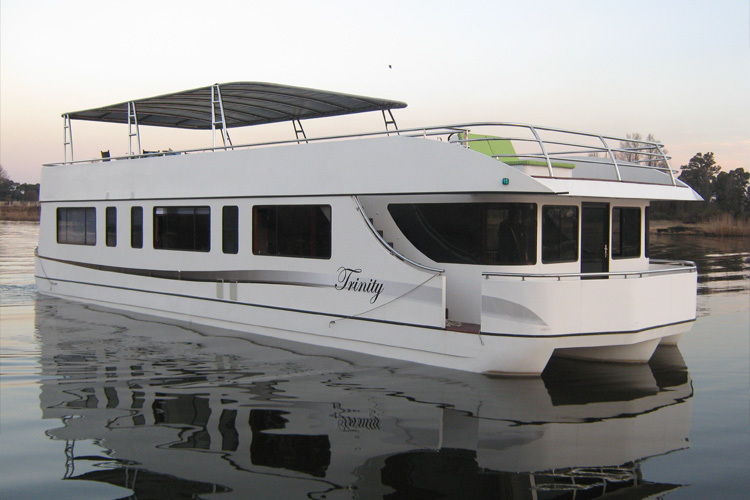 In the case of a wedding, you could choose between the more luxury version of party boat which for instance will have padded walls, and the more basic version which you will dress up with drapery etc. We offer customized packages that we will discuss with you. 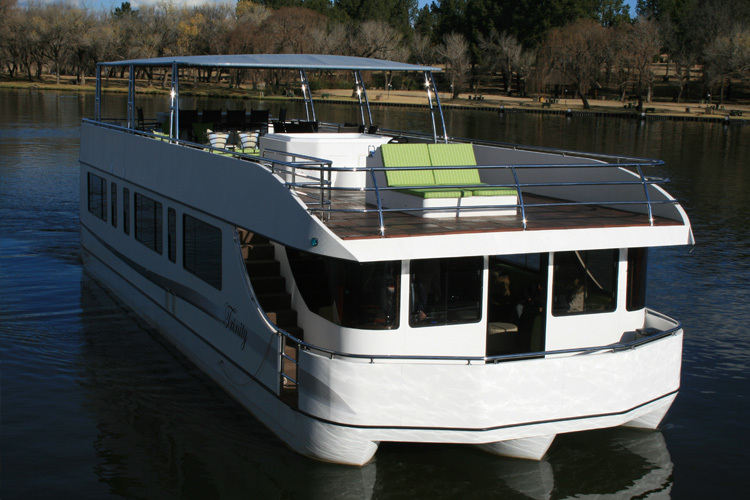 As well as being the party boat manufacturer in South Africa, we further our service to offer rentals, sales and entertainment packages to you, our client. 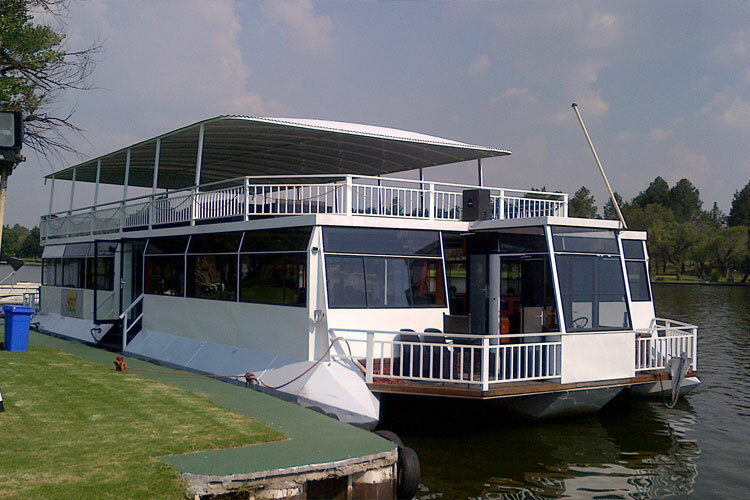 Phone us today at (016) 982-3411 for a customized quotation at the best party boat manufacturer in South Africa.